Reviewed on Goodreads on May 20, 2017. Moving to a completely different place can be difficult for most, especially after a divorce, and for the Michaels family, it is a test in survival. They have to make things work and they move into the new neighborhood with a lot of expectations. Would they fit in, and would they make friends? For Nick and Debbie it is ‘friends’ at first sight. They are drawn to each other and like hanging out with each other despite their slight age differences. Theirs is a friendship made for life and we see that friendship standing the test of time and gently develop into love. 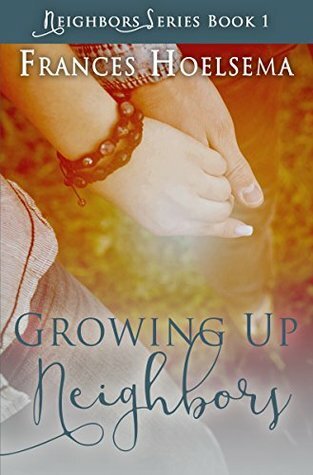 Growing Up Neighbors is an interesting story about families, relationships, a small town, friendship and love. It’s a book that will appeal to teens. The pace is slow and sometimes tedious as the writer tends to tell more than show. There are also some sections where it appears that the author has rushed through, leaving the reader to surmise. For instance there is a long section about Nick getting a driving license and buying a car. We follow Nick to his driver’s test and also to buy the car. With his new found freedom, Nick drives to school. He also offers a ride to Alex, who is the same age. Alex doesn’t get a license until he leaves school. We do not see what happens to him but suddenly we find out that Alex has started to drive, although there was no mention of it, like it was done for Nick. Apart from Nick and Debbie the other characters aren’t fully developed. While this may be because the author wants to focus on their story, it would have been nice to see more rounded characters, given the length of the story. The dialogues were interesting and believable. The book could benefit with some good editing to even out the pace and get the story moving smoothly.